The chances of winning a $1-million lottery ticket are slim. Winning the same lottery twice is unheard of. Yet an Indianapolis man defied the odds twice, winning his second $1-million prize in three months. Robert Hamilton claimed his $1 million from the Hoosier Lottery Commission July 22, according to a news release. 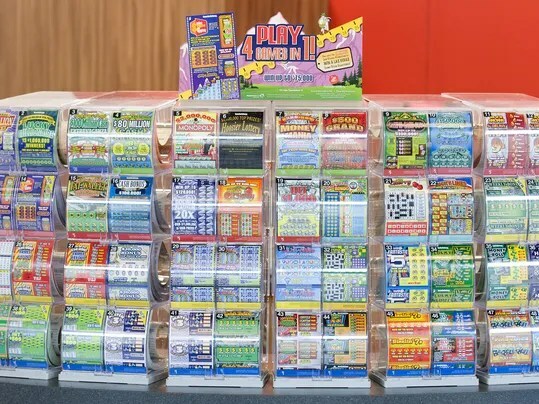 He purchased the ticket in the $120 Million Cash Spectacular Scratch-off from a Speedway on South East Street. After taxes, Hamilton collected $792,846.04, according to the website. Hamilton won another $1-million prize in the same game three months earlier, on April 28. He told the commission he stopped by a Casey’s in Jasonville on his way to a conference and purchased the winning ticket there. “It’s the icing on the cake,” Hamilton said, as he claimed his second prize. The odds of winning the $1-million prize on that game are one in 2.1 million, according to the news release. Five of the $120 Million Cash Spectacular Scratch-off prizes remain unclaimed. With his first prize, Hamilton bought a house with his wife Donna Hamilton, paid some bills, scheduled a vacation, bought a truck for his father and purchased equipment for his commercial trash hauling company. This time around, Hamilton said he plans to buy a motorcycle. Donna Hamilton said she and her husband wouldn’t let the winnings go to their heads. “We’re just everyday, normal people,” she said. Panhandlers in Downtown Indianapolis are some of the most stingy people I have ever met. I’ll give you a second to catch your breath. Yes, I accused Downtown panhandlers of being stingy. Allow me to explain. As someone who works and frequently plays in the Mile Square, I come across panhandlers every day. They include the “physically disabled” woman outside of Starbucks on Monument Circle who manages to haul around a shopping cart full of her stuff, the guy who has been trying to get enough money for gas so he can get his family stuck on the Eastside to Memphis, and the two guys who are “broke and homeless” but talked about their cellphone plans when they didn’t think anyone was listening. Now I had a couple of ground rules. I would not approach anyone who was just holding a sign. Instead, I decided to approach only those panhandlers who either walked up to me and asked for money or solicited cash when I walked by them. And I would ask for money only once it was clear that’s what they wanted. It was a fantastic experiment. On the first day, as I sat on the veranda at Nicky Blaine’s on the Circle having a cigar and cocktail, the first panhandler approached me. He went through the usual spiel and right before he asked for money, I interrupted and asked him for a dollar. His jaw dropped; so I asked again. He told me he didn’t have any money to give, and I told him that makes two of us. He walked away bewildered. On the second day, I was approached by a young guy who is always on the Circle selling candy. Every day it’s a new organization that he’s selling candy for; unless the line he’s using that day is that he’s selling the candy to pay for summer classes at college. As I walked by, he asked if I had money to buy candy. I told him I didn’t, but could he float me a couple of bucks so I could get lunch? He told me he didn’t have any money. I told him that he must be a horrible salesman to have been out on the Circle all day selling candy and not have any money. That story repeated itself, no matter how many times I asked panhandlers for money. The answer was always no. One even went so far as to curse me out. He sounded like something out of an old Redd Foxx comedy bit. What fascinated me the most was the fact that people who spend all day begging others for money had the nerve to get mad when someone did it to them. So maybe that’s the way we should deal with Indy’s panhandling problem: simply ask them for money. Maybe they’ll get tired of us panhandling and then they will avoid Downtown so the rest of us can enjoy it. Just a thought. By the way, you got a dollar you can spare? Shabazz is an attorney and the editor and publisher of IndyPolitics.org. Email him at abdul@indypolitics.org. Yes, I’ve been gone…so many things to update you on! First and most importantly, I’ve moved! Last year I wrote a few posts about helping my friend Kate purchase a co-op in Irvington and another couple about the Irvington area…well, now I’m a resident and Kate’s neighbor! I now live in a townhome…basement, main floor has a living room, dining room and kitchen, second floor has 2 bedrooms…well, actually 1 bedroom and a dressing room (built in 1917 = no closet space, turned 2nd bedroom into a dressing room!) and a bath and lastly, the attic space has been finished and makes a perfect office! I have a 1 car detattached garage and have finally stopped shutting the door while still sitting in the car, getting used to a garage NOT attached to the house has been one of my biggest challenges! I love my new neighborhood! Kate and I walked to dinner at Legend and stopped for ice cream at the new ice cream shop on Washington Street. The very walkable lifestyle of Irvington is fantastic! September is the Historic Home Tour…and I am participating – more on that another day. In addition to moving, unpacking, etc., my business has been going very well, several closings over the months of June and July and many happy families. Most importantly, an update on my beautiful nieces: Allyson and Jordan graduated from high school, Michelle is engaged to Zack and I went on a short trip with Ashley, Riley and my Parents…it’s been a crazy couple of months and I have enjoyed every bit of it! Ashley and Riley will be the first of them to see the new place (Sunday) can’t wait to hear what they have to say about it! Hope everyone is enjoying their summer and look forward to Living in Indy being back on track!